Play a lot. You need a great amount of time with the instrument in your hands. Playing music is such a good medicine. Get up in the morning and practice - Just do it! Wake up your sound: sound is sound-phrasing-intonation..
First thing to do: just play and be aware of any good ideas coming across. You are where you are - just start from there. Ask yourself: what do I want to add to my playing. Play gigs! Check what didn't work out well! Practice that! And again, play gigs! Make yourself feel relaxed by playing your instrument. Practice: Don't move more than necessary when you play your instrument. Switch on the awareness knob before you start practicing: how do you feel mentally and physically? Music (nearly) never wants you to feel bad or sad! Play a lot...play...on 80% of your energy! Don't focus too much on technique. Focus on the sound - Your Sound! There is a maximum velocity for your growth. You cannot speed up real growth. Try to get close to that maximum. What works better: a good teacher and a bad student or a bad teacher and a good student? Michael Gustorff is the author of ‘Practising Without Problems’ and ‘Creativity & Everyday Life’. These two books are the result of teaching all kinds of instrumentalists and singers on different conservatories and music academies throughout the last 25 years. (Codarts Conservatory Rotterdam, The Netherlands 1900-1997, Hochschule für Musik und Tanz Cologne, Germany 1992-2016, ArtEZ Conservatory Arnhem, The Netherlands since 1990…). They have been sold to Australia, Austria, the Benelux, Canada, China, England, Estonia, Finland, France, Germany, India, Ireland, Israel, Italy, Korea, Latvia, New Zealand, Norway, Portugal, Rumania, Russia, Serbia, Spain, Sweden, Switzerland, Taiwan, and the USA. 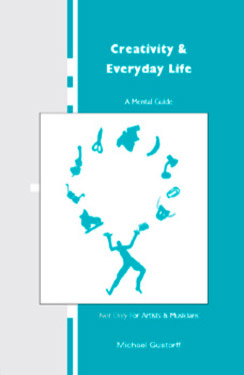 The books of Michael Gustorff are short, comprehensive and to the point, helping many musicians to find their way through the jungle of practicing and combining their creativity with everyday life. Printed by HP Nacke KG - Wuppertal, Germany. Preface - Who is this Book for - How to Use this Book - Mental Preparation - Dealing with New Information - Getting Started -Practice Plans - While Practising - Practising Technique - Practising Jazz/Improvisation - Problems and Solutions -Teaching and being Taught - On Stage - Finally - Contemplation Collection - Appendix - Recommended Books - Acknowledgements - About the Author. 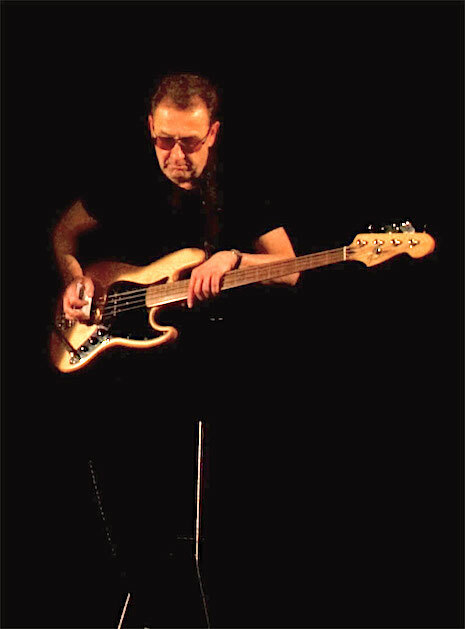 Michael Gustorff has organized the basics of practicing in a highly organized and simple presentation. It’s a fresh and honest approach to how we (as musicians, teachers and students) can deal with practicing. The ideas are easy to assimilate. 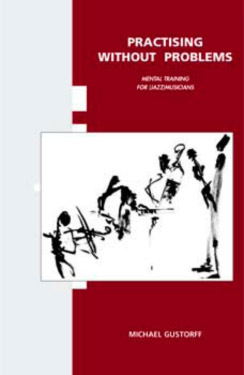 The best book on the subject that offers advice on developing an efficient practicing mentality is Michael Gustorff’s ‘Practising Without Problems’. Receiving this book was well worth any extra fees! Highly recommended. A true learning experience! Thanks for writing such a wise & useful book. I look forward to using these ideas in my own practice as well as my students practice. The book arrived and is helping already. A powerful side effect of the book is that every time I pick it up I get no further than a couple of paragraphs before I have to pick up my guitar and get to work! I really enjoyed reading your book and I will use it in my lessons at the conservatory in The Hague. I want to thank you a lot for this book. It feels like a wonderful present! Your book was with me almost every day during the last two years. It was good, very good for me! I ordered your book again. I gave it to somebody and it never came back to me. This is what happens to good books. Introduction - Who is this book for? - Before we start - The Power of our Brain - Changing Something-Changing Ourselves - Learning - The Art of Healthy Repetition - Useful Memory - Some extra Tips - Energy - Focus - Long Term Planning - Attitude - The Power of Doubt - Short Term Action - Step by Step - Daily Routine - Weekly Routine - The Way We Work - The I-Company - Image - Problems, our (best) Friends - Internal Teachers - External Teachers - Mental Traps and Tips - Balance - The Realization of your Personality - Goodbye (Un)Happiness - What's your Contribution? - Finally - Appendix - Recommended Books - Acknowledgements - The Author - The Musician - The Program. “Creativity & Everyday Life” is both clear and succinct. It provides concrete directions and advice; it asks questions and puts you to work. I can thoroughly recommend this “signpost” to not only students of creative subjects but also graduate artists. It's an excellent book for young folks starting out! I read your books and want to thank you for putting so much natural wisdom into words. I finished your book on the same day I got it. Great subject! 'Big issues' presented in manageable portions. Congratulations with your second book. I really like your new book, it's simple and clear. I hope that it will sell well! You deserve it! What a good book, Michael! I just started reading and I really like it. It’s very close to the way I work with my students. Just wanted to let you know how much I enjoyed reading your books. I'm a 2nd year Jazz singing student at the ArtEZ Conservatory in Zwolle, and unfortunately I missed your workshops last month. After hearing so many positive reactions from my fellow students after your first day, I decided to buy your books to read about the stuff you talked about in the workshops (you might remember me, interrupting your class to buy the books). I've read them now, and as I said I just wanted to let you know that you reached another student with your stories. I also bumped into many of the problems you described, and I'm sure that your way of thinking will help me solve the problems in my best way. Hey Michael, I put your books on the students reading list. I still like them very much.